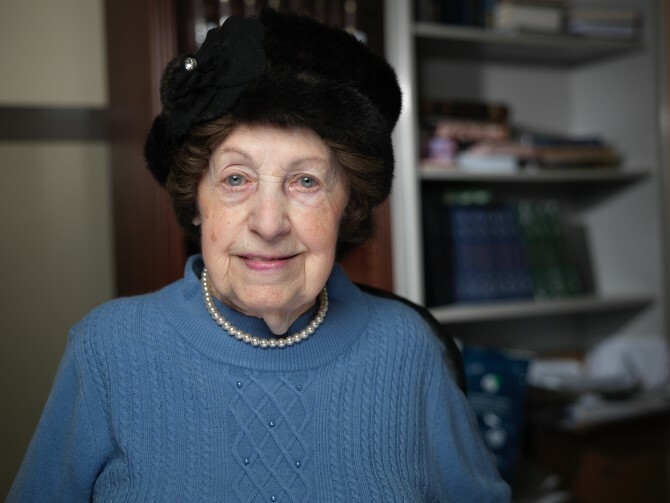 “Every Tuesday, a volunteer comes to my home and drives me to my weekly get-together where I meet with a wonderful group of women who are all Holocaust survivors. These women are more than friends – they are like family. We support each other, sharing simchas, birthdays, photos of our grandchildren, and sending get well cards to those who are ill. There is entertainment, music, and laughter. When I return home, I feel relaxed and in a good mood all day. Last year, 2,183 Holocaust survivors living in Montreal benefited from services provided by Federation CJA funding, including psychosocial support, homecare, transportation, recreation, hospital visitations, meals on wheels, and day services.